Good quality parts and hardware. Everything is included in this kit. Installed in about 45 Minutes once I got the old stock junk out. 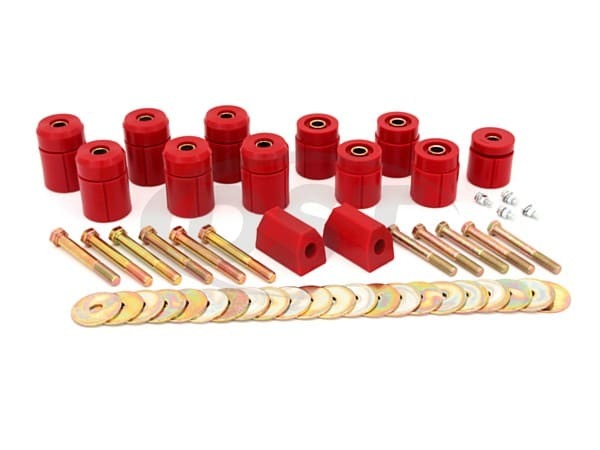 Can I purchase just one bushing out of the 1113 kit? Unfortunately no. Prothane does not sell pieces out of their kits. 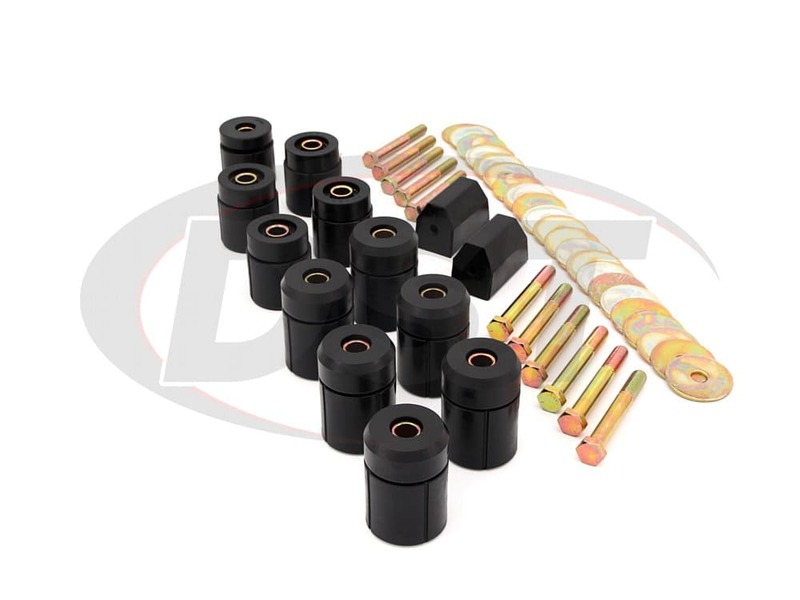 Is there a way to just purchase a single bushing out of this kit? Unfortunately Prothane does not sell their parts by just the piece. 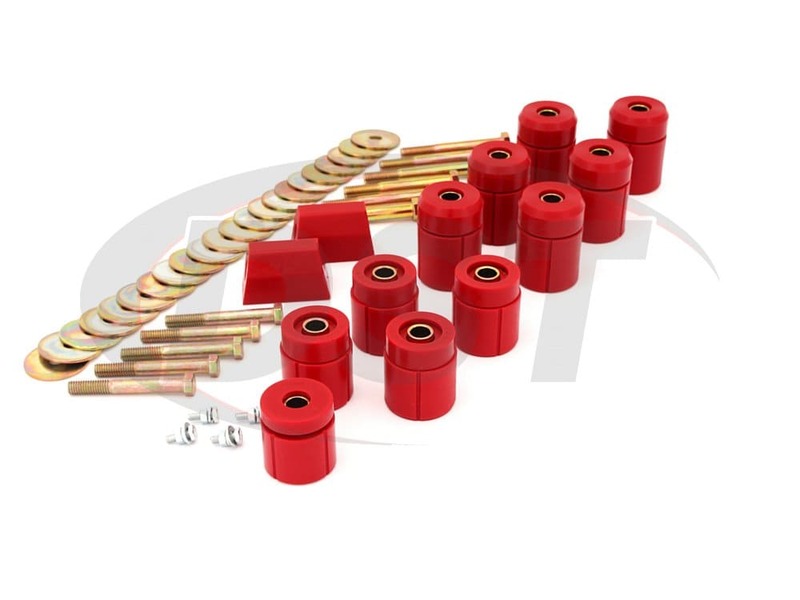 Can I purchase just one mount from part number 1113? No, Prothane does not sell their bushings separately from their kits. Are there any installation instructions with a diagram showing where the grill cushions mount to for part number 1113? 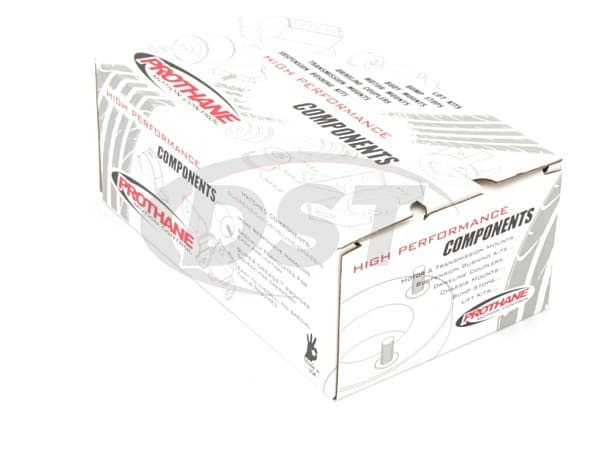 Yes, you can find the installation instructions for part number 1113 at https://www.prothanesuspensionparts.com/installation_instructions/prothane/1113.pdf. The grill cushion mount will go in position 1A on the diagram. What grade bolts come with this body lift kit?